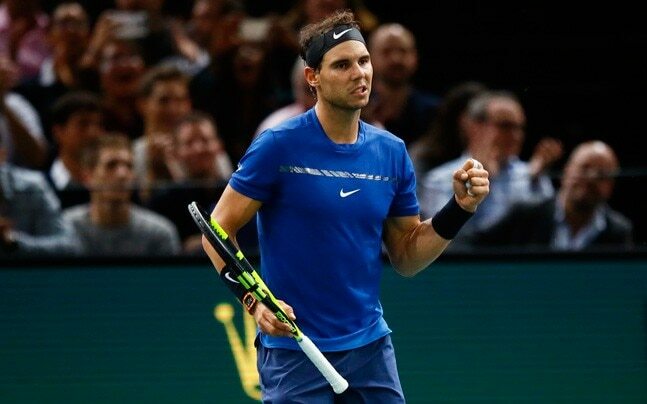 Madrid, Nov 7: Spain's Rafael Nadal remained in the number one spot in the men's Association of Tennis Professionals world singles rankings released on Monday, while Britain's Andy Murray and Serbia's Novak Djokovic dropped out of the top 10. Nadal, 16-time Grand Slam champion, was followed by Switzerland's Roger Federer with 9.005 points, reports Efe. The 12th placed Djokovic and Murray, who fell to the 16th spot, missed the final Grand Slam tournament of the season with elbow and hip injuries respectively. Germany's Alexander Zverev came in third, ahead of Austria's Dominic Thiem. Additionally, American Jack Sock, who earned Paris Masters title Sunday after winning 5-7, 6-4, 6-1 over Serbian Filip Krajinovic, jumped 13 spots to ninth, ahead of 10th-placed Pablo Carreño Busta of Spain. 10. Pablo Carreño Busta (Spain) 2.615.